We live in a constant paradox: as technological disruption brings us closer to computer and machine evolution, our humanity clings ever so dearly to what is left of our relationship with the environment and society. Premium brands often say that “luxury is in the details.” No matter how advanced our technology is, the basics of customer service are the keys to success. A CISCO report on “Customer Experience in 2020” reveals that 70% of purchasing decisions will be based on consumer experience, and according to VentureBeet, in 2020 the average person will have more conversations with bots than with his or her partner. The question of how to apply and capitalize technology and digital strategies to marketing is relatively simple. However, regardless of the complexities that a strategy may have, brands that wish to maintain healthy relationships with their customers must ensure a pleasant pre- and post-buying experience. We are faced with consumers who strongly claim their individual identities through the consumption of products and services based on originality. This trend stems from the loss of individuality generated by the rapid effects of globalization and by the rather slow emergence of the diversity concept. The year 2019 will be the year of diversity and activism. For example, we will see more photographs of women, races and ethnicities and the use of portraits with docile postures—but full of meaning—will increase. Mestizo consumers openly share their desire to exalt their own identity through consumer experimentation. Brands must face the challenge by satisfying their identity concerns. The ultra-observed millennials are the “new adults” of this generation and face challenges with very different perspectives from previous generations. These new adults are immersed in various consumption models that affect (and resolve) their daily lives, such as remote work, services that respond to the collaborative economy, the development of e-commerce. New consumers are constantly seeking to convert their pressures and responsibilities into something easier to manage. Brands and companies can serve as a resource to “facilitate” the day-to-day life of these generations through new tools, products, services, experiences and consumption models. An example of this type of flexibility can be seen in coworking spaces (a working model that has become popular in recent years), which allows professionals to share the same workspace with others. Voice recognition has started to modify the way in which the consumer relates to the environment in his/her day-to-day life to such an extent that it’s been capturing the attention of different sectors and causing brands to incorporate this new method of interaction. Using the voice has become more than a product; it has become an experience. Amazon announced that it intends to sell 113 million Echo devices in the coming years, and although they currently lead this sector, competition in the device market is expected to be fierce: Siri, Alexa and Google Assistant are just a few of its main competitors. This voice trend is permeating and being implemented in other consumer moments, changing the ways of relating to products and brands in all sectors. Ultimately, it’s not just about making existing content fit a device’s considerations. The voice recognition trend suggests that brands and businesses need to reconsider their product design, their relationships with partners and consumers and even their organizational structure. It’s hard to imagine what our lives would be like nowadays without tech devices. New generations are constantly surrounded by screens that intuitively provide them with information in different formats. However, dependence on technology is becoming alarming—the question is: should we be blaming brands for it? To keep up with generational trends, brands are integrating technology in their buying and selling processes and interfering with socialization modes. This provides us the tools, but they must be used responsibly to guarantee the psychological well-being of generations to come. In 2030, it is estimated that 80% of all customer contact will be made through artificial intelligence. That is too much. Fortunately, we still have time to think of new reforms and initiatives alongside brands to help consumers invest in the troublesome area of social (dis)connection. The eSports “boom” gained prominence in 2018, and most likely will continue to do so in the upcoming years. By 2020, more than 300 million people USD $1.5 trillion in annual revenue. This sudden growth is a golden opportunity for brands and companies looking to connect with an audience beyond their reach. The boom is a direct consequence of changes in consumer habits consumers who increasingly choose to move away from traditional TV to streaming. Companies of all sizes are eager to join the eSports movement. Facebook, for example, has bought exclusive rights to four popular tournaments. But the key question is: what is the correct way of providing something of value to the eSports universe and entering it credibly? Brands must follow consumer habits and take the fundamental leap towards streaming platforms, social networks and live events – then, they must prepare for the fierce competition that exists in the digital world. Consumers are becoming more and more demanding with the content they want to receive. They are willing to make changes in order to obtain a more personalized service tailored to their tastes, seeking quality rather than quantity. The changes in content consumption in recent years are determined by the on-demand generation (Generation Z), affecting the business model of various sectors, from telecommunications to entertainment. Traditional Hollywood talents are now seeking a greater streaming presence to reposition themselves as brands, as YouTube stars are outperforming them in terms of audience recognition. ¨The 2019 trend for content platforms is that they will continue to grow at an accelerated rate. Large platforms such as Netflix, Hulu and Amazon Prime Video are investing more and more of their budgets in original content, forcing paid-TV to change and causing brands to seek more authentic and transparent ways of reaching consumers”. According to an Ericsson study, 30% of participants recognized that the speed at which technology is developing makes it impossible for them to keep up to date with its capabilities and abilities. Efforts to learn and relearn are increasingly becoming an endless race. Brands must adapt and prepare for this whirlwind of data to not lose opportunities with respect to consumer behavior (and therefore perceptions). Many see it as a great opportunity that will further accelerate learning and thereby increase the new needs of the labor market. As Kevin Kelly points out in his book “The Inevitable,” one of the great trends which will guide us in the coming years has to do with “flowing:” letting ourselves be carried along by a stream of change in which our own capabilities will have to adapt to learning and forgetting at an ever-increasing speed in order to navigate in a constantly changing environment. Consumers are increasingly inclined to prefer brands that can go beyond standard sustainability platforms to achieve relevant impact. Brands are transcending their own limits, adding value and freely sharing their knowledge and technologies to offer effective solutions to numerous problems in today’s world. Various studies and success stories presented throughout 2018 have shown how the average consumer tends to pay more attention to companies that make their initiatives cause a positive impact on the general aspects of human life. It is true that the consumer values aspects such as price or offer. However, the true notoriety of a brand is achieved through the generation of emotional experiences, which contribute to the loyalty and purchase decisions of consumers. “The progress of initiatives that impact the future development of society, in relation to its needs and expectations, is vital to strengthen our role as an actor that leads the sustainable growth of our communities”. Citizen brands are characterized by having a clear purpose of improving the world in a way that is relevant to their business. Many of these companies have active internal functioning policies and social responsibility activities with which they contribute to these purposes. In the December 2018 study “From Me to Us: The Emergence of Purpose-Based Brands,” involving more than 30,000 consumers worldwide, 62% of respondents wanted companies to have ties to social, cultural, environmental and political issues close to them. It doesn’t seem like a good time to remain neutral. And in today’s world of hypertransparency, it’s no good hiding behind a low profile either. So, what should companies do to avoid losing competitiveness in this new scenario? Put who they are into words, what their soul is, what they do and why they are here in a sense that transcends mere business activity. Companies must truly describe their purpose in the world. David earned a bachelor’s degree in journalism from the Complutense University of Madrid and Global CCO from ESADE. He has worked for media such as El Mundo and Cadena Ser, and in the press department of the cultural organization Círculo de Bellas Artes in Madrid. Before heading the Consumer Engagement area in LLYC, he directed national communication campaigns for brands such as Heineken, Red Bull, Movistar and Ron Barceló for seven years as Senior Coordinator at the Actúa Comunicación agency. As global manager of the area, he coordinates eight markets in LLYC (Spain, Portugal, Colombia, Argentina, Mexico, Peru, Brazil and Panama) and has directed emblematic projects for Campofrío, Coca-Cola, Telefónica, Gonvarri, Bezoya and Sacyr. He has received more than 50 awards for his projects, including a Cannes Lions award, two Sol awards, numerous Gold Stevie Awards and several Communicator Awards, SABRE Awards, Mercury Awards and Premios Eikon. 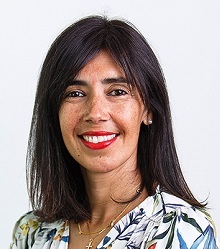 Natal is a storytelling lecturer for the master’s program for Corporate Communications at Universidad Carlos III (Madrid) and the Global CCO at ESADE. 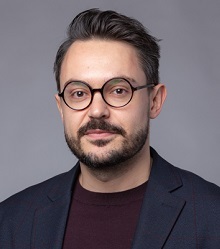 He also teaches for the master’s program for Visual and Digital Media at IE Business School and the master’s program for Digital Communications at the University of Cantabria (Spain). Tirado is a publicist with more than 25 years of experience in marketing, advertising and advising large companies in the development of campaigns for various clients (including Backus, BBVA, Red Bull, Mifarma and Gloria). 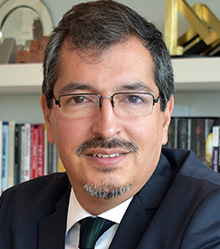 He has served as general manager of LatinBrands; director of VP Carat Peru; vice president of Business of Mayo FCB; CEO of NEU Euro Peru; director and partner of Latina Communications Group; digital business consultant at El Comercio Online; account director at Publicis Peru; member of the Board of Directors of the Peruvian Association of Advertising Agencies; president of the Court of CONAR; director of Ynnovadores; and coordinator of the Advertising Sciences career path at the Peruvian Institute of Advertising, among other institutions. Martinez is an expert consultant in branding and digital strategies. He is a marketing graduate from the University of Business and Social Sciences with a certification in digital marketing from Digital House. He has worked with many multinational companies and directed more than 50 projects in marketing and advertising agencies. 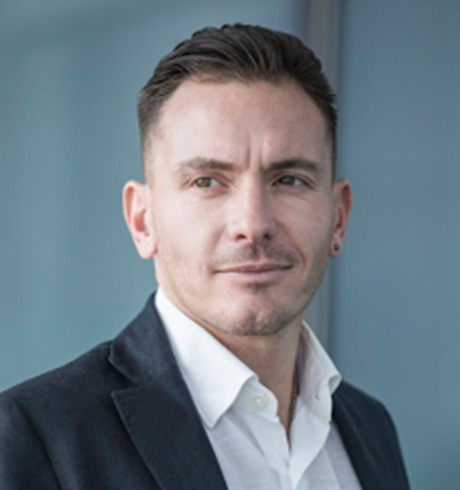 He has over 15 years of experience managing and developing strategies for corporate and mass consumption accounts, as well as leading branding and digital transformation projects. In 2013, Google awarded one of his projects for its success and, in 2017, he was involved in the development of an app that had a tremendous impact in Argentina (it was the most downloaded app of the week). García has a degree in Business Administration with a specialization in Marketing and Information Systems from the University of Lincoln. García has more than 15 years of experience in communication, advertising and marketing, and is a specialist in digital communications. 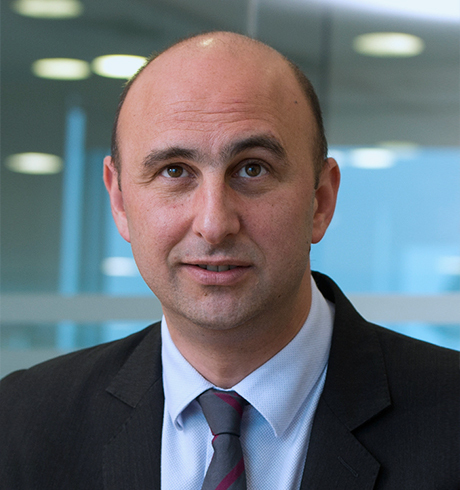 Fernando García has carried out projects for agencies and multinational clients in more than 40 countries in the areas of B2B and B2C, in mass consumption, retail and ICT, among others. 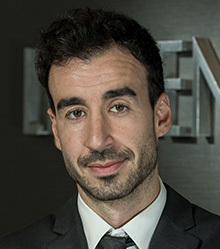 García has worked for leading companies and institutions such as Absolut Vodka, Bacardi, Volvo, SABMiller, Antamina, BCP, Sanitarios Roca, the Spainish Embassy in Mexico, J & B, Danone, Caja Duero, Dia % supermarkets, Thyssen-Bornemisza Museum, Amadeus GDS, Cosentino and the Istituto Europeo di Design. 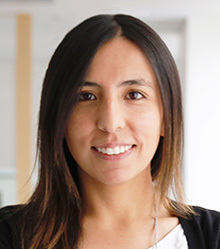 Valdez has a degree in Communication Sciences from the Instituto Tecnológico y de Estudios Superiores de Monterrey and has taken courses of documentaries production at the University of la Havana, as well as marketing, advertising and public relations at the Universidad Pontificia Comillas. Valdez counts with 16 years of experience as a consultant in communication and building brands for more than 10 industries and 30 brands and recognized institutions such as AVON, Beam Global, Gatorade, Lilly-ICOS, the Ministry of Tourism of Quebec, Purina, Saks Fifth Ave., Whirlpool, Wilson Sports and Energizer for whom he won recognition by the IAB Mexico in the category of corporate social responsibility campaign. On the other hand, Valdez served as the Director of Public Relations for Vice Mexico and was the Marketing and Public Relations Director of Silent Circle in Latin America. Valenzuela is a digital communication strategist with over 20 years of professional experience in integrated marketing, branding and customer experience. 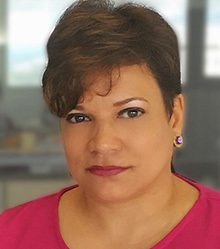 Previously, she was director of digital communications for one of the most important banks in the Dominican Republic, where she directed the online marketing strategy for the institution and coordinated the customer service process on digital platforms. She worked as an independent communication consultant for multinational and local companies in retail, telecommunications, finance, energy, tourism, food and beverage, and the government sector. She is a lecturer, with six years of teaching experience, serving as director of studies at important academies in Santo Domingo. She is also a member of the Brand Council of TopBrands, serves as content editor/host of the weekly section "Creativity and Media" in specialized radio programs and is a columnist of the "Trending" section of Saber Vivir magazine. She has worked in several different business sectors including banking, distribution, the auto industry, retail, telecommunications, transport and services. She has over 15 years’ professional experience managing communication for brands within multinational advertising firms like Grey, Leo Burnett, Lintas and Young & Rubicam. She also set up a project to create local content: Lisbon South Bay, a blog dedicated to life on the south bank of the Tagus River. Marlene holds a degree in Public Relations and Advertising from the Instituto Superior Novas Profissões and a Postgraduate in Marking and International Business from INDEG-ISCTE. Tejada has 15 years of experience in strategic communications, specializing in recent years in brand communications and digital marketing. He has been part of the consultants’ team that has led projects for major brands in different sectors, including tourism, mass consumption, hospitality, aviation, automotive, banking, telecommunications, health, pharmaceuticals and electricity generation and distribution. He has also worked for the Panamanian public administration, as part of the communications team in select projects. As part of his work in brand communications consulting, he has led the coordination of other actors, such as advertising agencies, BTL, media (ATL) and digital. During the past few years, he has also provided communications counsel to International Organisms in projects oriented to the defense of human rights and non-discrimination. 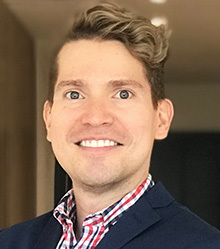 Aljure is a social communicator with an emphasis in organizational communication and public relations from the Pontifical Xavierian University, along with a specialization in public policies and development from the University of los Andes. For three years, she led brand positioning and crisis management projects in the technology, air, retail, pharmaceutical, and food sectors at various communication consulting firms. Furthermore, she worked in the Corporate Affairs area of LATAM Airlines for three years. At LLYC, she has led projects with brands such as TigoUne, Maggi, Jerónimo Martins, Primax and TDT. Specialized in the field of branding. She previously worked in different areas of different companies (finance, marketing and foreign trade) which allows her to adopt a holistic vision of brands understanding it as a promise of value that the whole company has to make real through the brand experience. 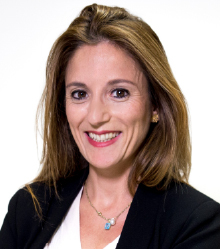 She has taken part in strategic projects working in consulting firms for brands such as CaixaBank, LaLiga, Hitachi Cooling & Heating, Orange, Riu Hotels & Resorts, Foster's Hollywood, Licor 43, Pernod Ricard, Ron Barceló, among others. She has a Master's degree in Brand Management from MSMK, has studied at renowned universities such as Fordham University (New York, USA), Marquette University (Milwaukee), Johannes Kepler University (Linz, Austria) and Boston University (Boston, USA) as well as at ETEA (Córdoba, Spain) where she graduated in Business Administration.